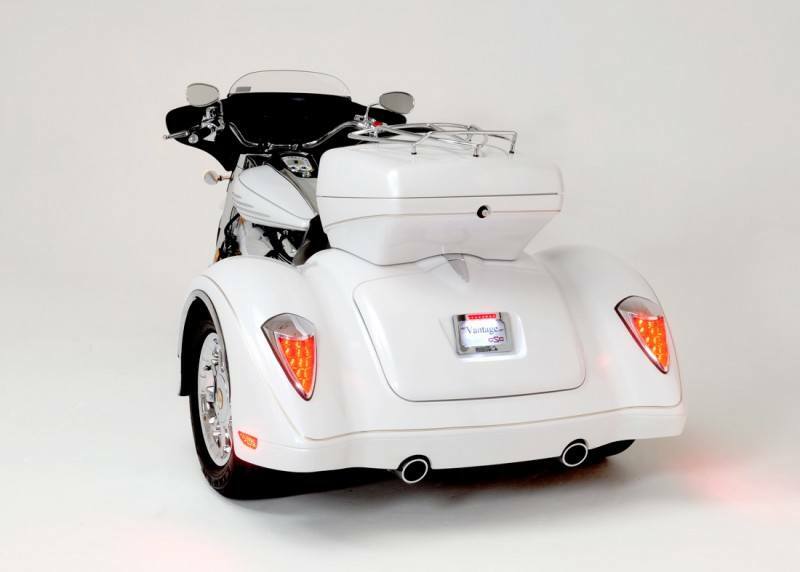 California SideCar introduces the industry’s first trike kit for the Yamaha Roadliner and Stratoliner models, the CSC VANTAGE. 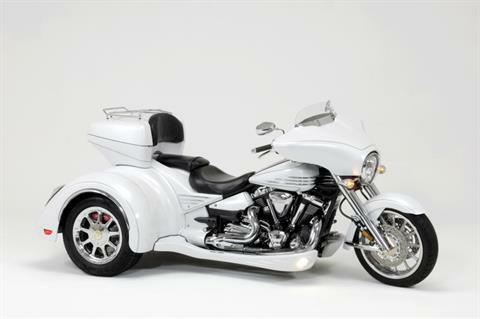 Designed to match the bike, the VANTAGE trike body incorporates the chrome accents and Yamaha styling all throughout the design. 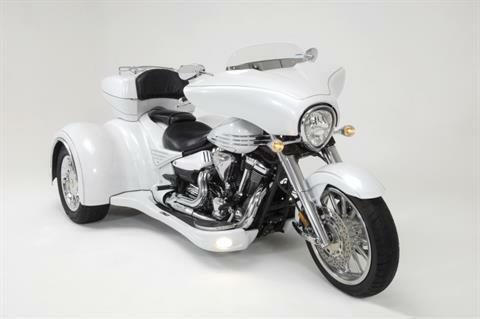 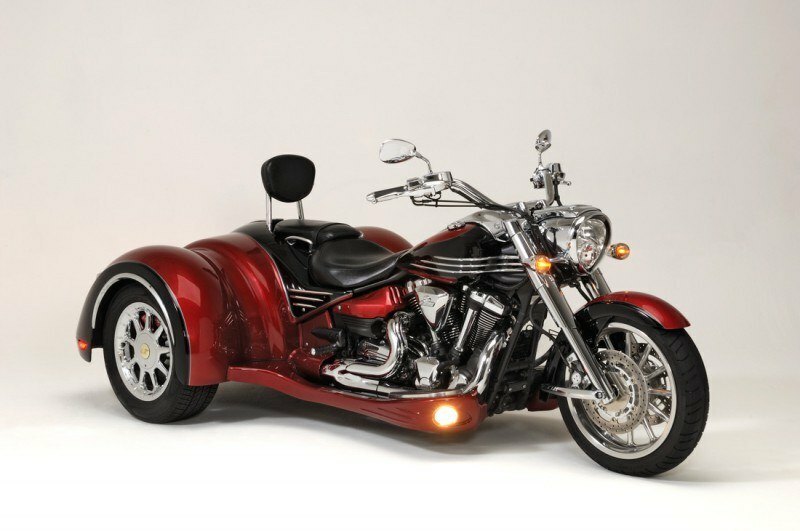 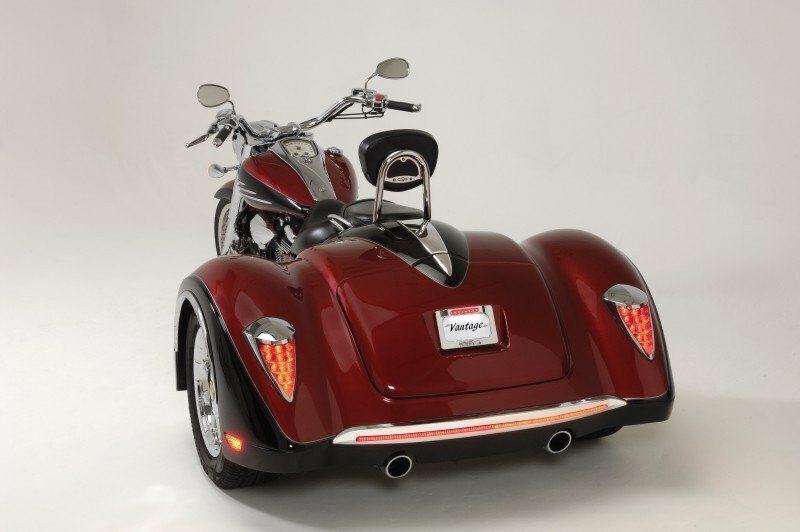 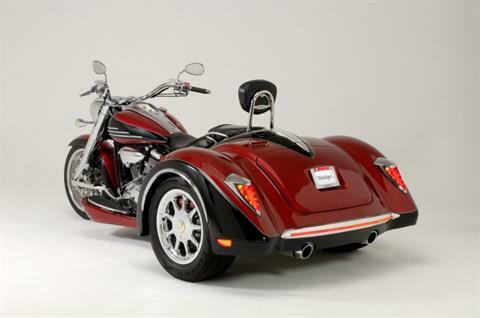 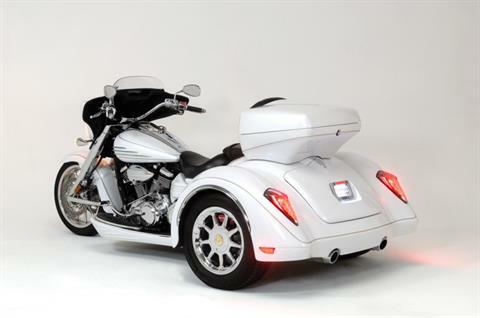 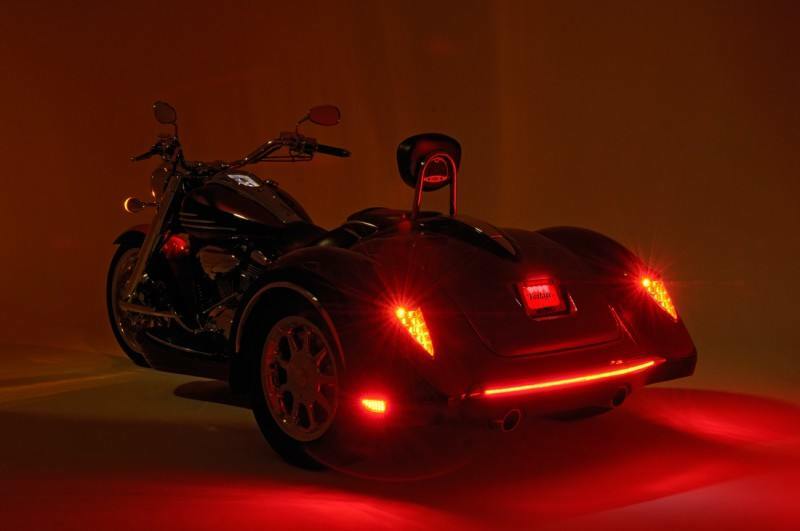 From the fuel tank to the spoke wheel look to the teardrop style LED taillights, this Yamaha trike kit by CSC keeps all the design elements of the bike intact while offering you the superior build and ride quality that California SideCar is known for. 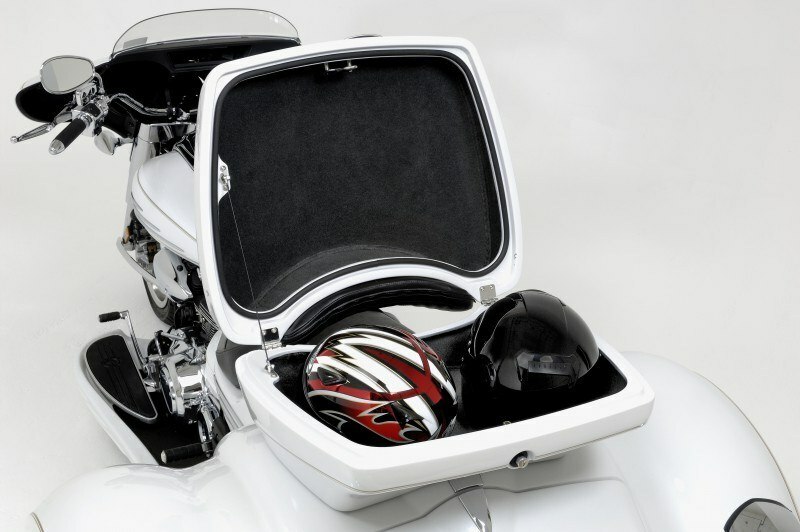 Trailer Hitch Ball Height 1-7/8 ball - 13 in. Overall with Power Track - 117 in. 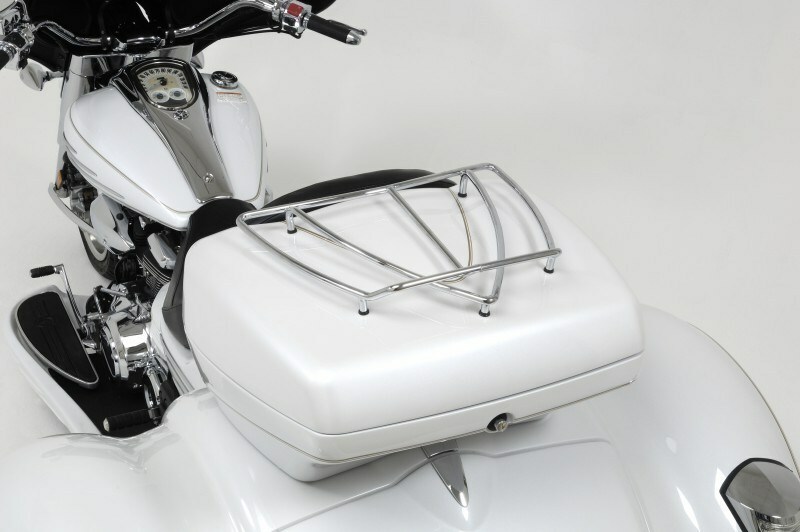 With Power Track - 79.3 in.